Some ideas to make life in the air easier for you and your baby. I have an incurable case of itchy feet, and it hasn’t been alleviated by being a parent. Consequently, my son and I are both fairly well acquainted with air travel. 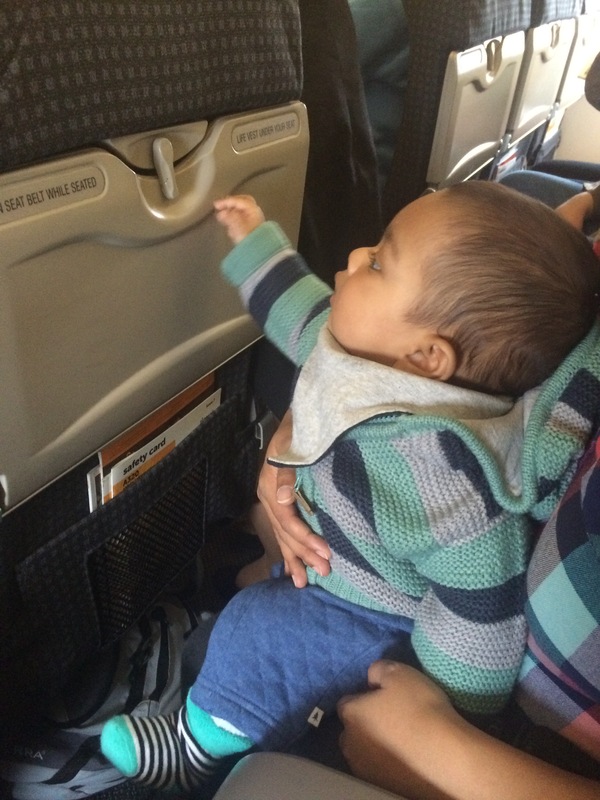 Here are 12 travel tips that have helped me (and my son) survive the air miles. If your infant has an established sleep schedule, try and fly around them. For long-haul flights, I try and organise flights at night to maximise our chances of sleep. I schedule flights shorter than 4 hours around naps so that the adults can at least enjoy some portion of the flight in relative peace. If I’m flying long distance, I opt for multi-day stopovers, where possible, to break up the journey and reduce jet lag and the inevitable exhaustion that accompanies long-haul flights with infants. Bulkhead seats are placed right behind the partition between seating classes and/or service galleys. If you’re flying with a lap child, i.e. you haven’t bought a separate ticket for your infant, it’s worth pre-booking these seats and a bassinet. Not only do bulkhead seats come with space for bassinets, the extra legroom is excellent for storing nappy bags and offers more room for fidgety toddlers to jump around. Note that some airlines have a weight limit for bassinets, so check before you fly. It’s also worth researching seating charts on SeatGuru for the next best alternative, in case your preferred seats aren’t available. Most major airlines offer the option of pre-ordering infant/ child meals. While they may not always be the most nutritious option, chances are they’ll often be more appealing to a fussy baby/toddler. Bonus: special meals are served before the rest of the meal service begins, reducing wait times for food. This applies to older babies – close to, or over a year – who have the ability to comprehend what’s going on around them. Flights, particularly long-haul flights, are a break in routine and all the activity, noise and confinement can be confusing and scary for the little ones. To help my child adjust and know what to expect, I prepare him by telling him stories about going on a plane. About 2 weeks before departure, bedtime stories are dominated by colourful accounts of getting through security, boarding and planes taking-off and landing. Art projects involve drawing seatbelt signs and airports. Read or watch toddler books and cartoons that showcase air travel. 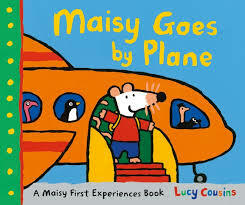 My favourites are “Maisy Goes on a Plane” and Peppa Pig’s “Flying on Holiday.” Both are available on YouTube and take toddlers through the sequence of events that take place before and during a flight. Changing a baby in the confines of the notoriously tiny airplane toilets is nothing short of an acrobatic feat, and it can be an uncomfortable experience for both parent and child. I try and cut down on any unnecessary bulk by packing 2-3 nappies, a disposable change mat and travels sized wet wipes into small bags and tuck them into the seat pocket. At the first whiff of an offensive odour I am able to quickly slip out a nappy pack and have my baby changed in a jiffy. Bonus: No need to balance a bulky nappy bag on the disgusting toilet sink! Babies can be unpredictable. As can flight departures. It’s best to carry extra snacks to stave off hungry screams – applicable for both baby and parent. Baby formula/ breastmilk, baby food and water are usually allowed in reasonable quantities beyond the regulation carry-on liquid size. For older babies, some easy, mess-free snack ideas include raisins, crackers and cheese sandwiches. However, as any parent will attest, spills and spit-ups are standard fare in the life of a baby. I always pack two extra sets of clothes for the baby and a change of clothes for myself to avoid messy situations. While I love nothing more than binge watching movies on a long flight, it’s a bit much to expect my pint-sized ball of energy to veg out like me. For young babies, a favourite stuffed toy might suffice, but for older babies, it takes a bit more work to stave off boredom. It’s easy to load up the iPad with your child’s favourite shows, but young toddlers are bound to get restless. I prepare travel sized versions of my child’s favourite activities to take on board – puzzles, books, little cars and finger puppets. It’s also a great time to encourage creative pursuits. Small tubs of Play Doh, a bag of crayons and notepad or even an Etch-A-Sketch are excellent for keeping kids occupied for a while. Illnesses can take hold at any time. Fluctuating air pressure can be painful for little ears. It’s always a good idea to include travel sized painkillers (or any other medication that your child might need) in your carry-on. If your infant is used to a baby carrier and is soothed by rocking, baby wearing during a long flight can be a godsend. I found it easy to rock my baby to sleep in a carrier while in the space in front of the bulkhead seats. I was also able to nurse him discretely while in the carrier. My mad gyrations may have amused the rest of the passengers, but being close to me comforted my child and there was minimal fussing involved. Take-off and landing are the hardest for babies, not just because of the loud rumbling and having to be confined to a seat, but the change in air pressure leads to earaches. I’ve mostly managed to minimise earaches by feeding the baby during take-off or landing. If your baby has been weaned, offer him/her a bottle of water or a snack to munch on. The swallowing and/or chewing motion helps the ears pop. I believe it would be foolish to expect hassle-free flights when flying with a baby. 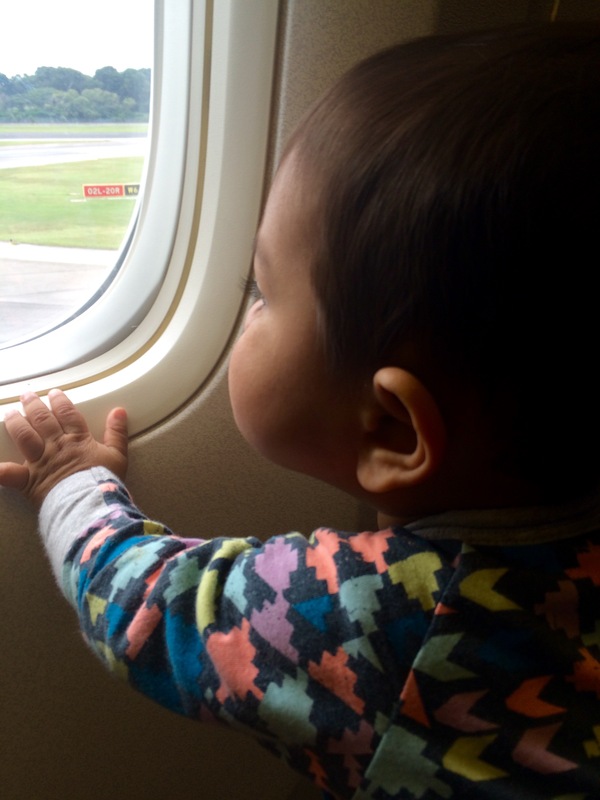 Flying, particularly long flights, are hard enough on adults, it’s harder still for babies. It takes a fair amount of work to keep a baby happy on a flight and sometimes our best attempts may be in vain. Babies are bound to cry a little and it’s best to accept the inevitable. While some passengers may not be shy about voicing their impatience with a crying child (ignore them! ), most are only happy to help. It’s worth bearing in mind that all babies are different and what works for one baby may not work for another. As a parent you know your child best, so trust your instinct! Happy travels!